ApexDivination - Highly configurable. Support all wisps/location. Custom AntiBan. This bot will have several updates applied to it overtime. This feature is on a timer. What wisps/springs were you interacting with? Copy and paste the "Current Task Log" in your bug report. 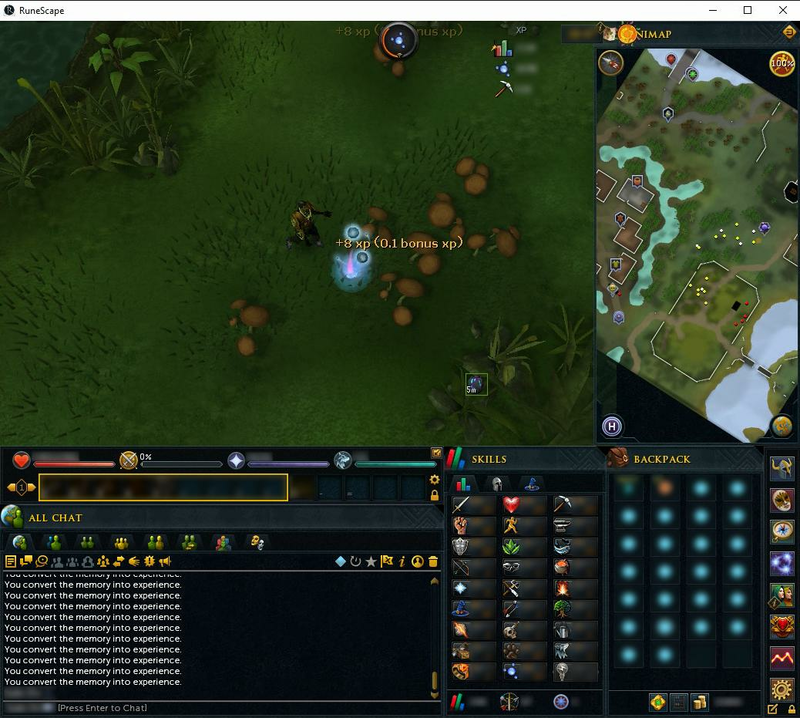 doing the guthix cache, it will continuously click the vail things till it has one. very good quality bot especially with the cache support (one the crowning features), seren spirit support and very good antiban and breaking. ty proxi! Couldn't enter the cache when time came around, it just sat there misclicking the entire time as I watched the task log say it was entering the cache and never did. Once I manually went in the cache, it was extremely slow on grabbing a memory, and then slow running over to the center to put the memory in. After filling an inventory of memories, the bot will right click the rift and hover over the option that you selected (ex: turn into experience) for about 5+ seconds and then maybe click the rift. This was all within 35 minutes of use, and my setup is similar to the one that was provided. tl;dr - the bot is too slow, even with antiban turned off. It misclicks and stares at an interface deciding what to do. Yea, unfortunately there's not much I can do in regards to this issue, but it should be fixed soon! This works perfectly. Anti-ban system is always active without hiccups, and schedules its breaks with a high level of customization. Let it run all night to see 6 levels up since I sent the breaks a little long but better to be safe than sorry! Great bot. I would really appreciate an option to "quit after x hours" so I can leave it running for a few hours in the evening without worrying about it starting up again at 4am. Maybe this exists and I just couldn't find it?